Papercuts refer to handicrafts made by cutting paper with scissors to form different patterns and pasting them on walls, windows, doors and ceilings. With their long history, papercuts, which originated in China, have been very popular among the ordinary people of China. The first papercut can be traced back to the Northern and Southern Dynasties (386-581) period. The initiation and spread of papercuts had a close relationship with Chinese rural festivals. People pasted papercuts on walls, windows and doors at wedding ceremonies or festivals to enhance the festive atmosphere. shoes, hats, pillows, bed curtains and door curtains. Papercuts made in different areas have different characteristics. 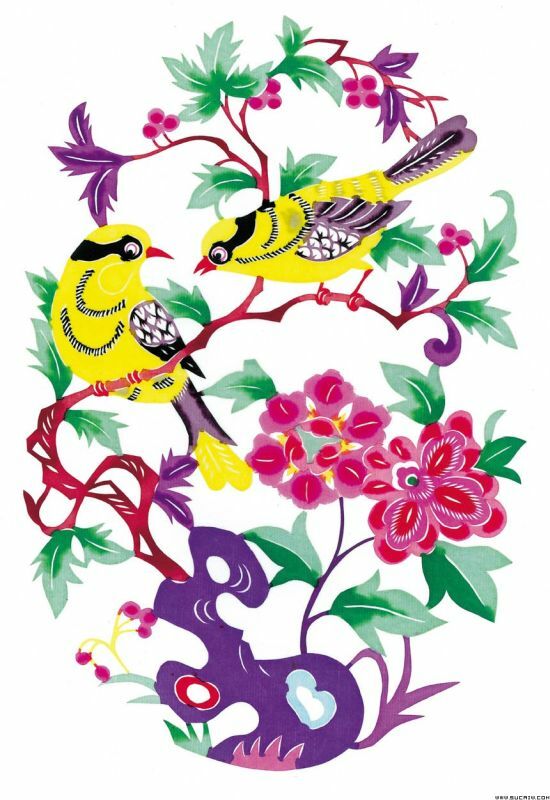 Shaanxi window papercuts are simple and bold; papercuts from Hebei Province and Shanxi Province are bright in color; papercuts in southern provinces are delicate and fine.